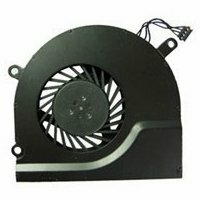 Computer fans and cooling devices. 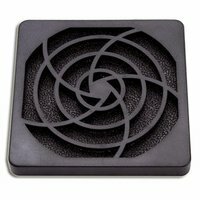 Your PC cooling should never be neglected. If your system has poor cooling, it will reflect on its performance. CPUs usually throttle when they reach a certain heat threshold, when your GPU overheats frequently, it can eventually lead to a lesser lifespan. 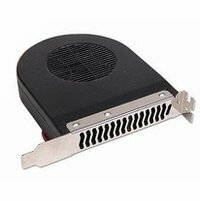 Heat is the greatest enemy PC components have, fortunately, it can be easily remedied with proper cooling. Giving your case a better airflow is the first thing you should look into. 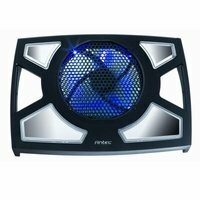 Grab some of our high quality fans and install them as intake and exhaust fans for your system, additionally installing a fan controller allows you to monitor and control your fans easily with an intuitive interface, plus it makes your system fancier. We also offer a variety of CPU and GPU coolers to help boost their performance. Aside from desktop coolers, we also sell laptop cooling pads to help keep your mobile PCs cool. These coolers are roughly the same size as your laptops so they are just as portable. Why do computers need fans? Computers need fans and other cooling apparatus to keep the internal components from overheating. Beacause a computer as so many parts that are making millions of calculations and coursing large amounts of electricity through very closely knit circuits, there is going to be a considerable amount of heat build up. There are also components that have moving parts, such as hard disk drives, which have one or more internal, spinning discs, need to stay cool to keep their internal componenests seize. 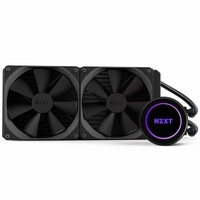 Case fans, CPU heatsinks, video card coolers and liquid cooling systems are all used to maintain an optimal working temperature for your computer hardware. 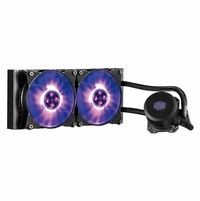 There are cooling fans for just about every piece of hardware you can install in your system. But you probably don't need to buy a fan for every single piece of hardware. 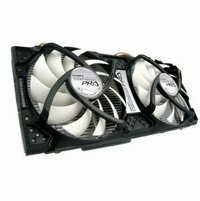 In general the hardware you are most likely to buy fans for are computer cases, CPUs, video cards, and power supplies. Aside from just fans, there are also heatsinks and airfoils that absorb heat directly from the CPU or GPU, which then diffuses in to broad, thin airfoils which help to disperse the heat faster due to their large surface area. We carry brands such as Corsair, Noctua, Cougar, Arctic Cooling, NZXT, Cooler Master, and more to make sure we have the right options for you. 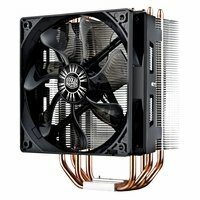 What type of cooling fan do I need? For processors, you'll need a heatsink and fan to make sure it doesn't overheat. 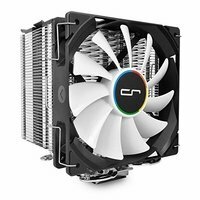 There are many kinds of CPU coolers, from large, high-performance options, to low-profile options that more easily fit in compact cases. If you're building a system with a higher performance processor, you'll want to make it's a pretty hardy cooler, or you may want to look into installing a liquid cooling solution, which uses a closed system to pump liquid across the heatsink to diffuse the heat through the liquid, further dissipated by a fan cooled radiator instead of an all-metal heatsink and fan. Case Fans come in many sizes, from 40mm to 360mm, and have multiple types of bearings with differing lifetime performance and noise output. 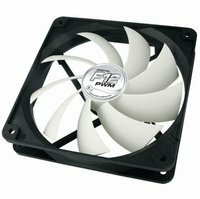 The fan blades can also make a difference in noise, but some of the most important specs to pay attention to when it comes to PC fans are the RPMs and air pressure they're able to provide. If you're going to build a higher-performance system with the ability to run quietly, you'll likely want to use Pulse-width Modulation (PWM) fans that are able to adjust automatically to the temperature around them. Keep in mind that these fans must be used with a motherboard that supports the PWM feature, otherwise their heat sensors and auto control features will be useless. 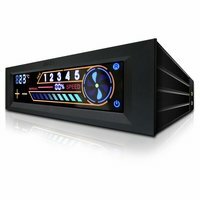 Certain Arctic Cooling fans include PWM Sharing Technology (PST), which allows multiple of the same type to share temperature information to create a more cohesive PC cooling system. Video Card cooling systems are often built onto the card, especially at higher performance levels, but there are some after market GPU coolers in case you purchase an OEM video card that does not include a cooling system. 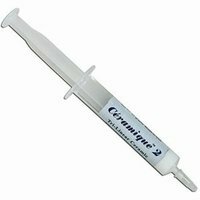 Thermal grease is generally a inorganic compound that is made of fine particles that conduct heat at a high rate and a loose binding agent that keeps the particles close together and in place between the heatsink and processor. 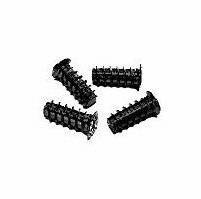 The main function is to improve the rate that heat dissipates from the processor itself into the the heatsink. 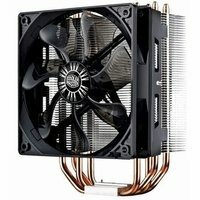 I want to install a CPU cooler. How do I choose what's best? First of all, you must check your case. See how much space is free where you can install the CPU cooler, as most aftermarket coolers are big and will require a decent amount of space. Then check your motherboard, see what kind of cooler it supports. Once you got those figured out, choose a heat sink and fan bundle that meet the requirements above and you should be good to go. I want to install fans in my case. Which one should I get? First off, identify what fans your case supports. You can find information on the size of fans your case supports on the product guide or manual for your case. After you've identified what type of fans can be installed in your case, choose whether you want high performance fans, or quiet fans. High performance fans will be a little louder but will move more air. Quiet fans are optimized for silence but will not be as powerful as its high performance counterpart. 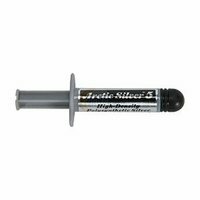 Should I buy thermal paste? 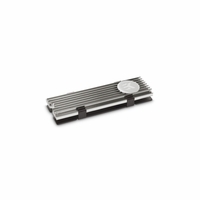 If you are installing a heat sink and fan to on your CPU for the first time, then it is a must that you get a good quality thermal interface material. However if your CPU already has a cooler installed, it probably already has thermal paste applied to it. 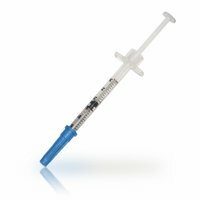 In most cases, there should never be a need to reapply thermal interface material.